Many small businesses face challenges when it comes to recruiting new talent. The job market has changed drastically and in order to keep up with it, you have to do things a little differently. There are now many creative ways of recruiting great hires that are proving to be more effective than previous methods. On behalf of HR Shield, here are some of the best new recruitment strategies. Self-Selection In order to get to the employees that are really interested in the job, give them an opportunity to prove their interest in between sending in a resume and showing up for the interview. You could invite them to an open house for prospective employees and see who shows up. This will help reduce the applicant pool to the ones who actually take the first step. Avoid Job Fairs Job fairs often turn out to be huge crowds of people that don’t quite fit the role you’re looking to fill. Instead of attending events like these, look for other types of events where talent might be gathering. Even if these events aren’t necessarily recruitment events, you can still network and potentially find people that are qualified for roles in your company. Platforms like Meetup are a great place to start. Look Back at Past Candidates There’s a reason why former candidates made it through the first round or two of interviews. If you passed on a good candidate in the past but it was a close race, they could be a good person to get in touch with now to see if the timing might be better suited for you both. If you don’t have an in-house HR department, an HR Shield Advisor can offer assistance in recruiting talented new hires. Contact us today! 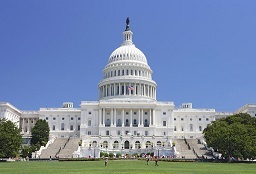 How Workplace Public Policy Affects You! Last week HR Shield had the opportunity to attend an annual event hosted by the Society for Human Resource Management called “The Day in the Beltway.” Each year members of the association are able to take a trip to Washington DC to have one on one time with our senators and congressmen and their staff. We were there representing the HR field, and the employers we work for, to lobby for or against legislation that would have a direct impact on business. When Congress or state legislatures are developing workplace policy, HR’s voice needs to be heard. As advocates for the HR community, SHRM members understand and can communicate how public policy issues may affect employees and employers. By working together, we can help advance effective workplace public policy. We were there to address specific issues related to the Fair Labor Standards Act. Under the Fair Labor Standards Act (FLSA), employees are to be paid a rate of at least one and a half times their regular rate for any ours over 40 in a week, unless they have been classified as exempt (salaried) under certain specific statutory categories or meet other requirements in the regulations. Under section 541 of the FLSA regulations, an employee may qualify as exempt from overtime requirements if he or she satisfies a “primary duties test” (performs specific job duties under the executive, administrative, professional, computer or outside sales regulations), and if he or she is paid on a “salary basis.” Under current regulations the employee must be paid a salary of at least $455 weekly to meet the salary basis test. President Obama directed the Department of Labor (DOL) to “modernize and streamline” the FLSA overtime regulations. What does this mean to you? Potential changes include raising the salary basis amount to possibly DOUBLE what it currently is. Meaning you would have to pay your salaried employees a minimum of $910.00 a week to classify them as exempt! The DOL is also looking at changing the primary duties test for many of the otherwise exempt employees, which could result in those employees losing their exempt status, and therefore being subject to overtime, costing you additional monies in overtime pay! Are your exempt (salaried) employees classified correctly? It pays to know! If these changes come to fruition, it will end up costing you more to run your business! 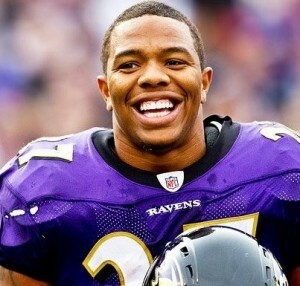 Running back Ray Rice was released by the Baltimore Ravens and suspended indefinitely by the NFL, the same day a shocking video surfaced showing Rice punching Janay Palmer, who was his fiancée at the time, inside an elevator at a hotel in Atlantic City, New Jersey, seven months ago. The NFL has previously said that Rice entered a pretrial intervention program in May. Under the program, he won't be prosecuted, and the felony charge -- one count of third-degree aggravated assault -- will be expunged after one year. NFL Commissioner Roger Goodell has already been scrutinized for suspending Rice for just two games, months after the first video aired. Many felt the suspension wasn't enough, and in August, the commissioner himself agreed. What do you think? Did the NFL get it right? Should the initial reaction and punishment have been more severe? Many feel that Rice should have received a lifetime suspension from the NFL as soon as the domestic violence was discovered, others feel the punishment too harsh and the NFL should have been more sympathetic and offered counseling. Ray Rice is not the only professional sports player to have been involved in a domestic abuse case, he's just the most recent and most publicized. Teams and leagues take the stance that domestic violence is not their issue to address and that the should not intervene with the criminal justice system. Each year more than one million people in the United States report a violent assault by an intimate partner. Domestic violence, and how to handle it, should be a concern for every employer. Domestic violence affects the employee’s health and safety, increases employer’s health care costs and decreases productivity. As an employer, you may be hesitant to address domestic violence because of a desire to respect the employee’s privacy, uncertainty of the employer’s role, and the need for guidance. Domestic violence in the workplace is broad and can happen both on and off the worksite. Domestic violence in the workplace includes all behavior that interferes with the employee’s capability to safely and securely perform their duties at work. The conduct can include harassing phone calls, showing up to the victim’s worksite, to homicide. Domestic violence off the worksite can also affect the employee through sleep deprivation and physical injuries, which can affect their ability to perform their job. Supervisors face one of the most challenging aspects of domestic violence as a workplace issue: what to say to an employee who the supervisor believes is being abused or is an abuser, and how to say it in a way that is respectful of his or her privacy. What can you do? Treat domestic violence as a business issue. The workplace is where victims of domestic violence spend 8 hours a day, and it can be an ideal place for them to get help and support. When employers address domestic violence as it affects the workplace, they have the power to save money…and save lives. For more information on how you can develop policies on domestic abuse and provide training to your supervisors and managers please contact us! Unemployment is a topic that has been at the forefront of many economic, political and social discussions over the last 10 years. 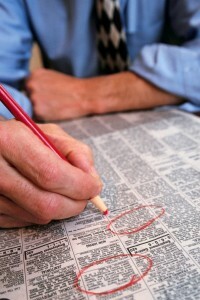 Since the economic downturn and recession, unemployment numbers have increased. More importantly, it is not just short-term unemployment but rather long-term unemployment that has become a significant issue for the American population. Prior to the major economic collapse suffered in the early 2000s, the source of long-term unemployment was generally illness or disability. Today, many long-term unemployment issues stem from people who are unable to find jobs due to the stigma of long-term unemployment or a lack of current skills in their field. The perpetuation of this brutal cycle of unemployment is a direct result of a deterioration of skills, accepting jobs that are unstable or not well matched to their abilities and as a result of all of the above, making less than they were prior to being laid off. We briefly touched on the topic of the stigma of unemployment back in 2011 and how giving preference to individuals who are recently laid off over those with a long-term gap in employment can be in violation of the EEOC’s regulations. Today, we want to discuss how human resources professionals can address the need to “re-skill” these workers in order to leverage these individuals. These industries all rely heavily on skill based laborers. The report also shows that when the unemployed do return to work, they return to the same industry or occupations from which they were displaced. Whether the skill is a service position – such as technical support or a blue collar job like roofing, there are specific skill sets that are required to be a viable candidate for hire. So how can human resource professionals address this skill gap that presents itself when an individual has been unemployed? 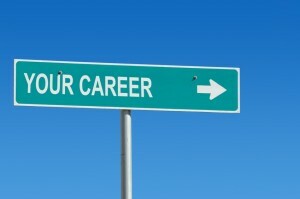 The answer – re-training the individuals to possess new skills in the same or similar job roles as they previously held. Training should be considered an investment in your employees. These individuals want to work; they have the foundation for a successful career but need their skills to be refreshed and updated to be concurrent with the current jobs available. We know that it may seem risky to hire someone who has been out of the game and requires training, however HR Shield offers expert HR advice in this very area – hiring the right people, navigating standards, and compliance and personnel management. Contact us today to find out how we can help you maximize your HR practices. What is a Company Loan? Have you recently heard the term “company loan” and wondered what it was? A company loan is a loan provided by an employer to an employee. 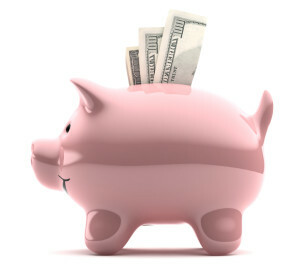 These loans can range from third party loans to loans paid out from the company’s finances. When the loans come from a third party, they are generally at extremely high interest rates and are for short term borrowing. Loans guaranteed by a company are usually lower interest, longer term and paid directly back to the employer through automatic payroll deductions. These programs are being touted as the financial equivalent of a health and wellness program, as they often include financial education elements as well. The goal of these loans is to help employees address unexpected financial burdens or to help consolidate long-term, high interest debt into a single loan. Is he right? Yes and no. In a perfect world, if employees paid loans back on time and no one defaulted then everyone would win. However, as HR professionals we know that there are regularly unexpected challenges with employees. When developing a company loan program, you need to spend time with both HR Consultants such as HR Shield, and attorneys, to ensure that you are developing an iron clad system. Contact us today to start discussing the opportunity to develop a company loan program with your personalized HR Advisor!